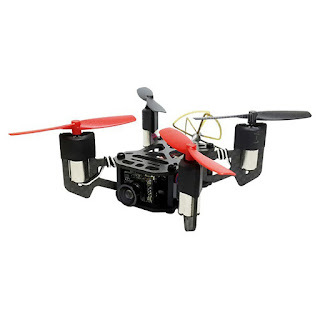 The Holybro Shuriken 180 quadcopter is a BNF ( bind and fly ) version that ships out with a DSMS receiver. Just bind your radio, configure the switches in CleanFlight, strap a battery on and go! The sturdy 180mm frame includes an injection-molded plastic bumper, sandwiched between carbon fiber top and fiberglass-reinforced bottom. Coupled with impact resistant motors, sturdy antenna, and plastic skid protection, the Shuriken 180 is a good for you to start or get serious about freestyle and racing. The carbon fiber frame consists of modular components, therefore, it is easy to maintain. Plus, the F3 flight controller is pre-loaded with CleanFlight. There are junction plastics between the arms and the central body, with which the drone is more space-saving. 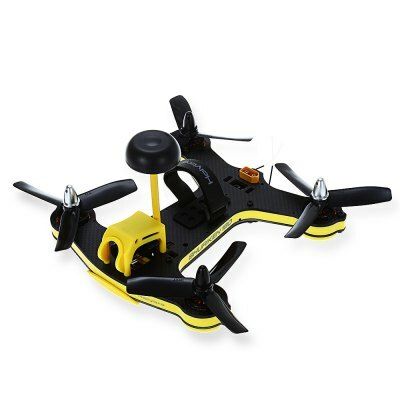 More importantly, the anti-vibration camera mount can be tilted into different angles, offering you with excellent FPV. You can choose the band and channel easily with the help of LED display, and use a jumper to switch between PAL and NTSC. The 800TVL HD camera and 40-channel video transmitter provide you with an exceptional aerial view.